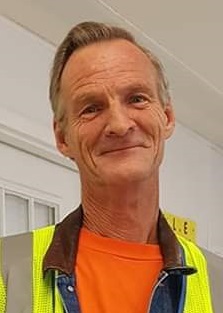 Donald Lee Ruggles, 57, of Springfield, passed away on Wednesday, January 23, 2019 at St. John’s Hospital. Donald was born on September 30, 1961 in Las Vegas, NV the son of Robert Earl and Hallie Frances Robinson Ruggles. Donald was a bus driver for 29 years, most recently for First Student in Springfield. He had also worked for Big Lots, Walmart and as a truck driver. He was a member of Central Laborers’ Local 477. He loved playing card games, his favorite were Canasta and Spades. He also enjoyed playing Yahtzee, dancing and listening to music. He was preceded in death by his parents; and several brothers and sisters. He is survived by his fiancé, Pamela Baker; children, Rebecca and Kimberly Ruggles, Cody Young and Angela Yager; stepchildren, Betty Jo, Korissa and Jeri Tate; soon to be stepchildren, Dustin Baker, Nora Felix, Robert and Chris Ruggles; several grandchildren; siblings, Adeli Thomas, Albert Webb and Ronald Raye Ruggles; sister, Debra Penny Flynn; and several nieces and nephews. Visitation will be from 6:00 p.m. until the time of the memorial service at 7:00 p.m. on Monday, February 4, 2019 at Ellinger-Kunz & Park Funeral Home with Reverend Larry Hanson officiating.